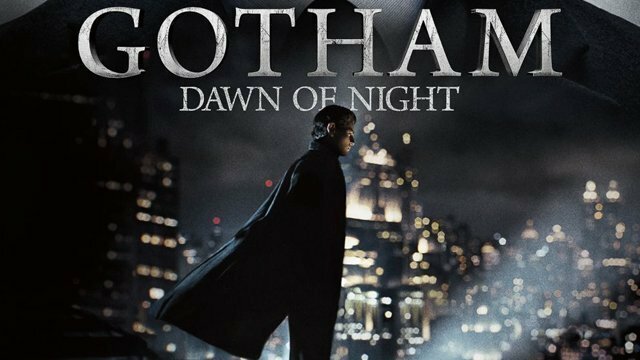 Following the announcement last week that the series would be moving to a different night of the week, FOX has released a new promo for Gotham reminding you that the show is no longer on Mondays, but Thursdays. Check out the Gotham on Thursdays promo in the player below and try not to think about how today is actually Wednesday. Gotham stars Ben McKenzie as Detective James Gordon, Donal Logue as Harvey Bullock, David Mazouz as Bruce Wayne, Morena Baccarin as Leslie Thompkins, Sean Pertwee as Alfred, Robin Lord Taylor as Oswald Cobblepot/The Penguin, Erin Richards as Barbara Kean, Camren Bicondova as Selina Kyle/the future Catwoman, Cory Michael Smith as Edward Nygma/the future Riddler, Jessica Lucas as Tabitha Galavan, Chris Chalk as Lucius Fox, Drew Powell as Butch Gilzean, Maggie Geha as the future Poison Ivy, Benedict Samuel as Mad Hatter, and Michael Chiklis as Detective Nathaniel Barnes.